As we count down to the February release of Beck's Morning Phase album, the details are finally beginning to materialize. We heard a live version of the song "Wave" last week, and now the tracklist has been confirmed. Those are the 12 song title down below. 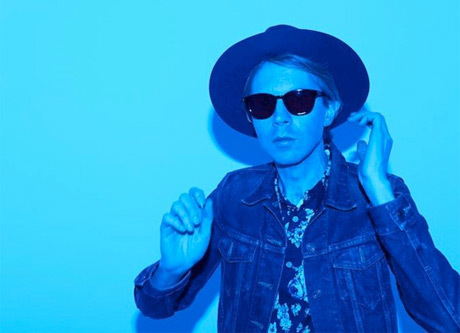 Beck has said that the album is a companion piece to his 2002 album Sea Change, and in keeping with that record's melancholic tone, Morning Phase includes some potentially gloomy titles like "Say Goobye," "Unforgiven," "Don't Let It Go" and "Evil Things." As was previously revealed, "Waking Light," "Blackbird Chain" and "Country Down" were recorded with Jack White in Nashville back in 2011. The full tracklist was revealed via Revolt TV. The album will be out through February on Capitol Records. See the tracklist below and scroll past that to hear the aforementioned live version of "Wave." Read an interview with Beck here.